What Guild Should I Play for Dragon’s Maze Prerelease? The prerelease is right around the corner, and a lot of you might be wondering what guild you should choose to play. Prereleases are about having fun and exploring the new cards, so you really should just choose the guild you enjoy the most and play with the cards that you think are the most fun. But if you’re like me and want a competitive edge over your opponents, you might wonder what the best guild is, because I mean, winning is also fun, right? For the last two prereleases, I agonized over which guild to play. I was able to play at only one prerelease per set, so my choice was even more important. I ended up placing 2nd at my RTR prerelease and 7th at my GTC prerelease, and if I were to play those prereleases again to win, I would have likely chosen the same guilds. In the Dragon’s Maze prerelease, you’ll have to choose between twice as many guilds as before, so I’ve been doing even more research to figure out what the optimal strategy is. 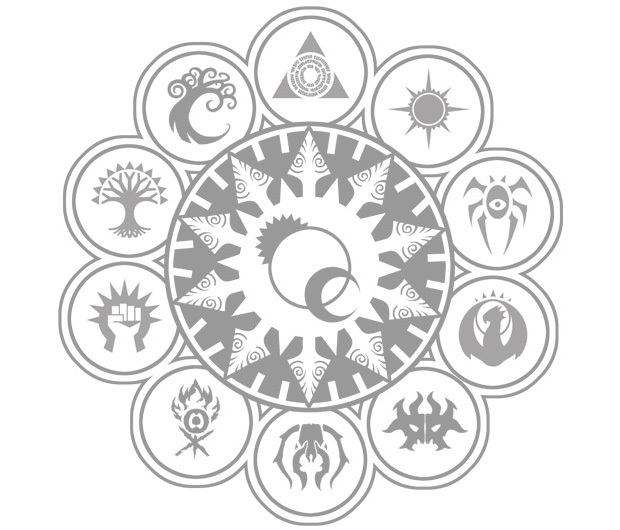 For the Dragon’s Maze prerelease, you choose one of the 10 guilds of Ravnica and you will be assigned a “secret ally” guild from the other set. For example, if you choose Azorius, you would be assigned either Orzhov, Dimir, Boros, or Simic. Wizards probably did this to prevent people from choosing an overpowered combination of guilds, but we still have a lot of options to maximize our chance of winning. For my analysis, I used the contents that can be found in each guild pack here: http://mythicspoiler.com/dgm/guildpacks.html. As normal, you will have 10 commons, three uncommons, one rare, and a Guildgate. This time, you won’t have your guild promo, so that’s a few less bombs you’ll have to play around. However, the Guildpacks are not completely randomized. There are actually eight possible configurations for each pack. You can find an incomplete spreadsheet with all of the contents here: http://forums.mtgsalvation.com/showthread.php?t=490176. The contents of the RTR packs are not completely available but the exact contents of the Gatecrash packs can be summarized here: http://forums.mtgsalvation.com/showpost.php?p=9656226&postcount=1. It seems that Wizards did this to keep all of the Guildpacks as balanced as possible. For example, the uncommons that are paired with Obzedat are less playable than the uncommons that are paired with Immortal Servitude. Not only is this information useful for choosing the best guild to play, but it also gives us crucial information to what rares our opponents could be playing. Unlike the RTR and GTC prereleases where the guild packs and the booster packs have similar contents, all of the RTR and GTC cards that you will be playing against will come directly from the guild packs. That means if your opponent is playing a Vizkopa Guildmage, he definitely has either Obzedat or Merciless Eviction. Based on the other commons and uncommons he is playing, you can always identify exactly what GTC rare he has in his deck. Now memorizing the configurations of all the Guildpacks is probably not worth the effort and would not give you that much of an edge over your opponents, but keeping track of key uncommons and commons such as Vizkopa Guildmage will definitely help. For example, you might want to save your instant speed removal for Obzedat if you have no other way to deal with him. Likewise, you might not want to overextend into the Merciless Eviction your opponent is likely to have if he has been confidently playing a land and passing each turn. The RTR guilds are of course, incomplete, but most of the rares are not really things you can play around. The important ones that are incomplete are Supreme Verdict and Mizzium Mortars. By inspection, Soulsworn Spirit is not found in any of the other Azoirus packs, so we can deduce that the pack with Supreme Verdict also contains Soulsworn Spirit. Two Izzet Guildpacks are still missing: one with Firemind’s Foresight and one with Mizzium Mortars. One playable uncommon that is missing from the other Izzet Guildpacks is Nivix Guildmage, so look out for that card. These other cards listed above are all cards that can win the game on the spot, but it doesn’t have to be that way. If your opponent is making strange attacks with mana open, maybe he wants to just get an unblocked creature through so he can bloodrush with his Wrecking Ogre for game. If he played Urban Evolution earlier, you might want to consider a large Biomass Mutation instead. Now that we’re all on the same page in terms of information, let’s talk about certain things you should consider when choosing your guild. For this analysis, I won’t be using the possible contents of the Dragon’s Maze packs, since that is too random and unpredictable. One of the key differences between sealed and draft is that twice as many rares are opened. The decks may be less consistent but the cards are certainly more powerful, even more so at these prerelease events when you’re guaranteed to open a rare that is in you colors. This leads to a lot of variance, as the game sometimes becomes a stalemate until whoever draws their bomb first wins the game on the spot. You can decrease this variance by simply having more answers than your opponent. Let’s look at all of the removal each guild has. The guilds with the best removal are Orzhov, Izzet, Rakdos, Boros, and Dimir. If you wanted to maximize the amount of removal you get from the guild packs, Rakdos would be a good choice. 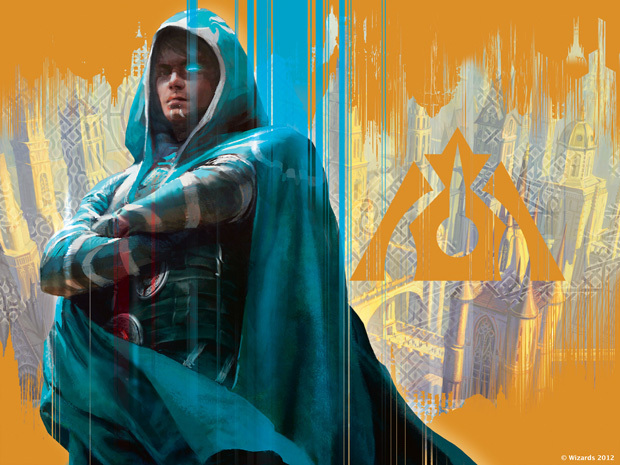 Your secret ally would be any of the GTC guilds except Simic, which has the worst removal. Being paired up with Gruul is not the worst either, since that guild still has a lot of good removal and Bloodrush synergizes with Unleashed very well. Red and black are traditionally the colors with the best removal, so you can expect to open a good amount in those colors from your Dragon’s Maze packs. With the way the sets are aligned and how Wizards has set up the prerelease, decks will almost always be three colors. Even though you will have access to a lot of Guildgates, it might be a good idea to prioritize fixing so you are more likely to cast all of your powerful spells. No one likes being color-screwed. Let’s look at the amount of fixing that each guild provides. I did not include the Keyrunes in here since that is common among all guilds. As expected, only the green guilds have any extra fixing. The two RTR green guilds have two solid mana fixing creatures, so if you are going into the prerelease expecting to build a 4 or even 5 color deck, Goglari and Selesnya are good choices. Powerful cards win games. In sealed, the format is slow enough that you will usually be able to cast your powerful cards. With so many guilds and so many possible cards to open, this prerelease format will be less about consistency and synergy and more about powerful cards and bombs. Let’s take a look at the bombs of each guild. Gruul seems to have the most powerful rares, albeit some of the more mana-intensive ones. Usually, cards like Borborygmos Enraged or Gruul Ragebeast wouldn’t be very good in GTC draft because the format was so fast, but with everyone playing three colors, you are much more likely to hit eight mana, especially if you are playing Keyrunes and Verdant Havens to fix and ramp. There are sure to be tools in Dragon’s Maze for green mages to ramp up as well. Gruul also pairs you up with Izzet, Rakdos, Golgari, or Selesnya, which all have a decent number of bombs besides Golgari. Keep in mind, though, that these bombs are mostly rare, so you aren’t guaranteed to open one. Choosing Gruul simply gives you the best chance at having a bomb that is in your colors. In the previous two prereleases, it was always important to have enough playable cards to put together a deck. Many players chose guilds that were very deep. However, in the Dragon’s Maze prerelease, most decks will be three colors. This means you are much more likely to have enough playables for your deck, especially since two of your packs will contain cards in only your colors. The steps involved in doing well in the prerelease will focus more on card choice and building a consistent mana-base then selecting a guild that has a lot of playables. The format should be slower than GTC and RTR, with more focus on bombs and answers. Rakdos has the best removal and Gruul has the most bombs. You will likely be playing three or more colors, so fixing will be important. The green guilds provide extra tools for fixing. Keeping track of certain uncommons from GTC exist allow you to predict which rares your opponents are playing. Thanks so much for checking out my article. This is my first of many, so let me know what you liked and didn’t like. Hope you enjoyed! This entry was posted in Articles and tagged DGM, Lenny, Limited, MTG, Prerelease, Sealed. Bookmark the permalink.